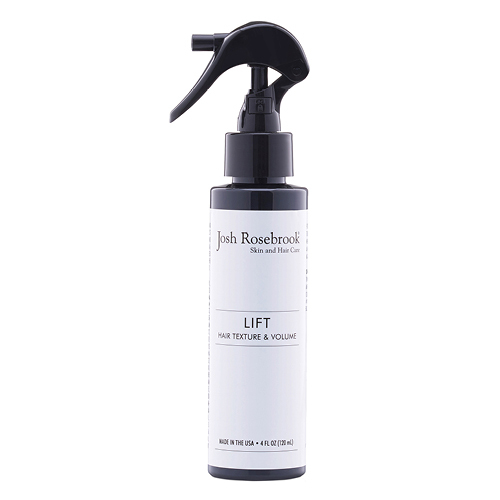 Josh Rosebrook's Lift is designed to be used daily to improve the appearance of your locks. This lightweight styling product enhances your hair's effortless beauty while lending a strengthening and volumizing feel – bringing your hair's appearance to its optimal state of bliss. To create a look of healthy texture, apply the natural hair volumizer on damp hair and distribute throughout hair using a comb or brush. Blow dry and style. To create a volumized look, apply at base of hair and blow dry as usual. I have very fine hair that gets oily around the roots resulting in very flat hair. I tried this product once and saw noticeable lift immediately! Love it! I also love that the results are achievable through clean ingredients. I'm no longer worried about putting a ton of chemicals on my hair to achieve some volume.